Fishing, hiking, and camping. Rainbow Road takes you to the popular Fall River Reservoir and connects you to the Chinns Lake Trail. 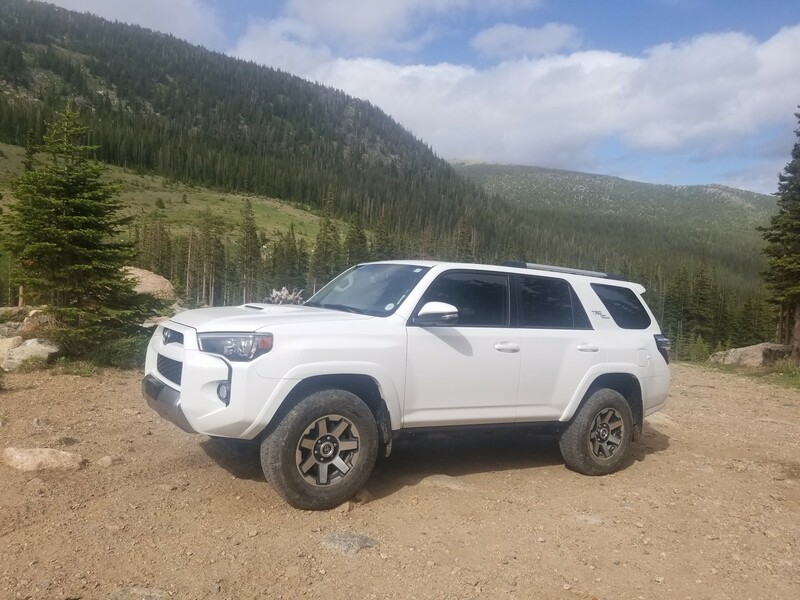 Along the route you will come to a Continental Divide National Scenic Trail access point which provides long distance hiking access north to James Peak Wilderness and southeast to Bill Moore Lake and Breckinridge Peak. 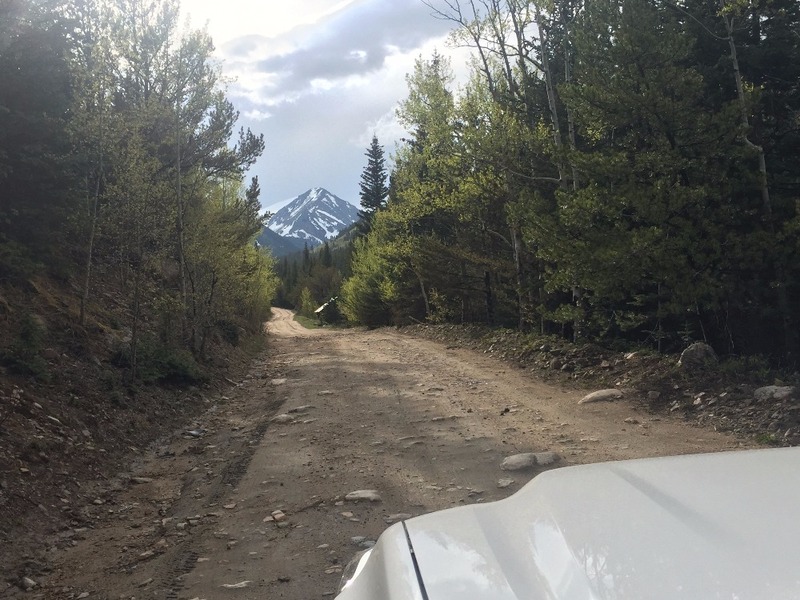 This road also connects you to the more interesting and remote Chinns Lake Trail. Turn onto the dirt road here. Want to see 2 more waypoints? Become an All-Access member! Exit off of I-70 on exit #238 to Fall River Road. Travel up Fall River Road approximately 6 miles until you get to the second switchback at a large gated home. Turn left onto Rainbow Road. Q: are kayaks allowed in the resevoir? Q: Is the reservoir dried up yet? Q: Anyone try and drive this recently? What are the conditions like? Made it to about 1/4 mile from the reservoir today before hitting some deep drifts, same spot where the drifts are always last to melt in the spring/summer. Shorelines have reopened at the res, nice short hike but bring your snowshoes the drifts are DEEP already especially in the bowl around the res. The gate at the reservoir (as stated) is closed. This was a decent trip out and i did not take the hike to see the reservoir but in my opinion the trail was far more bumpy than i expected and not worth the drive. i went up to the other 2 lakes with the other trail and they were very low(maybe 30ft), i would recomend going to loch lomond instead. Open and clear to gate at reservoir. There were a few puddles, nothing more than 3 inches deep for about 10 feet. Visited the trail just before a large storm hit. 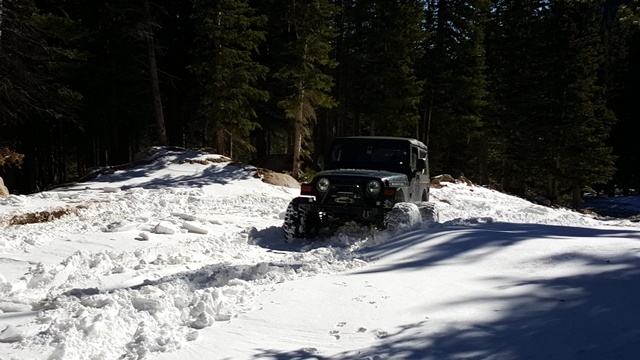 At that time we were able to bust through a couple deep drifts just shy of the lake and made it all the way through. I wouldn't expect it to be passable that far now since a big storm rolled through the next day. There is a lot of private land and a lot of new homes being built in the area. Areas that were once great camp spots 10-12 years ago are now blocked off and marked as private. This was a fun little trail that we just decided to do while out and after we'd done Kingston Peak. The trail is open all the way through and we saw plenty of traffic up at the top. Open all the way to the reservoir. No snow and very little water on the trail. Road is open all the way to the top. A Subaru Forester and Honda CRV crawled up behind me with pretty impressive ease. You can almost make it to the Fall River Dam, but there are two large snow drifts approx. 500 feet from the end of the trail. Probably another 2-3 weeks before it will be passable to the top. In attempting to break through Chinns Lake four-wheel drive road I decided to go the reservoir and take in the views. The area was very crowded with dispersed campers littered along the road and up by the Fall River Reservoir. Headed up Rainbow Road as it's close to Denver and would give me a good idea of what the snow conditions were like on the higher trails. Had my LJ on 37s, locked front & rear and a buddy's LJ on 35s also locked front & rear. It's was fairly packed snow right from the beginning and you could tell the trail had been well used recently. We made it to waypoint 3 no problems as again, the snow was just packed from other trail users. After the Chinn's Lake Split, the snow got a little deeper and you could tell there were less users going past this point. Eventually there were no more tracks and we were cutting fresh trail. 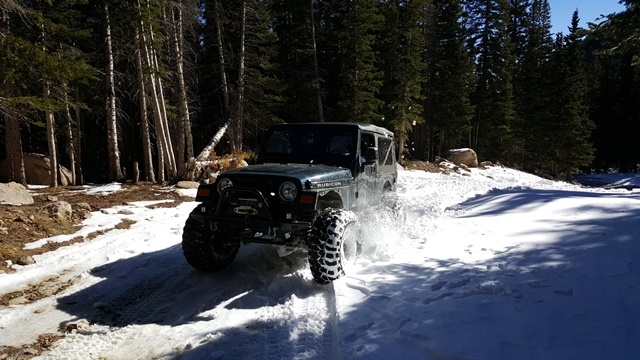 A few hundred yards from the trail end was a large snowdrift that took some time to work through, but we were both able to get through it without using our winches. If anyone is thinking of running this trail this time of year, only someone with a well built rig with lockers will make it to where we did at this point in the season. I would suggest stock vehicles turn around at the Chinns Lake Split. 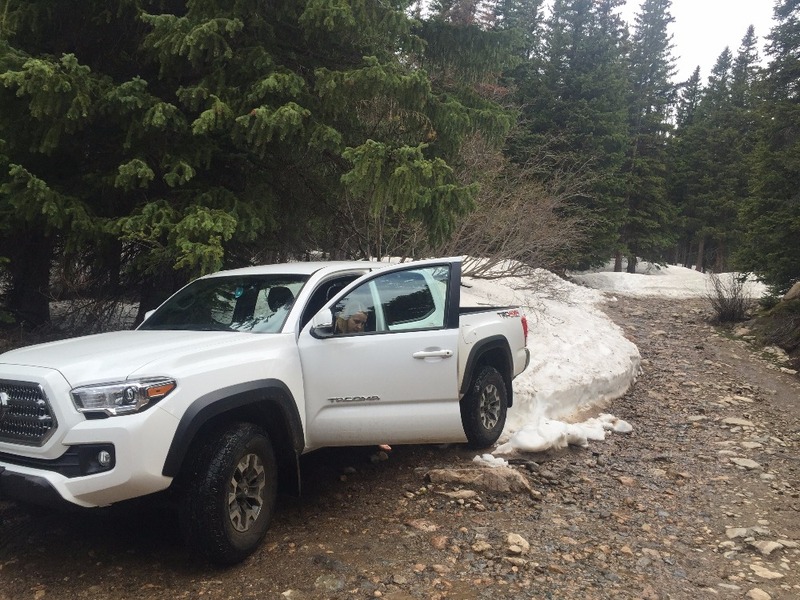 When the trail is dry, it is an easy cruise that could be done in 2wd.